Born and raised in El Paso, TX, Darrill Schoonover's path to the UFC, MMA's most prominent promotion, started at Coronado High School, where he wrestled for the Coronado wrestling team. By the age of 17, he had already added Judo, Japanese jiu jitsu, submission wrestling and Muy Thai to his repertoire. He won all 12 of his amateur bouts and holds the Texas amateur light heavyweight belt. From there, he went on to win his first 10 professional fights, which not only got him invited to the Ultimate Fighter house alongside Kimbo Slice and "Big Country" Roy Nelson, but also won him the XFC light heavyweight belt, the Freestyle Cage Fighting heavyweight belt and the Shark Fights heavyweight belt, which is sanctioned by the state of Texas as the official champion of Texas. His 10 victories also showed his well roundedness, with 5 of the wins coming by TKO and the other 5 by submission. 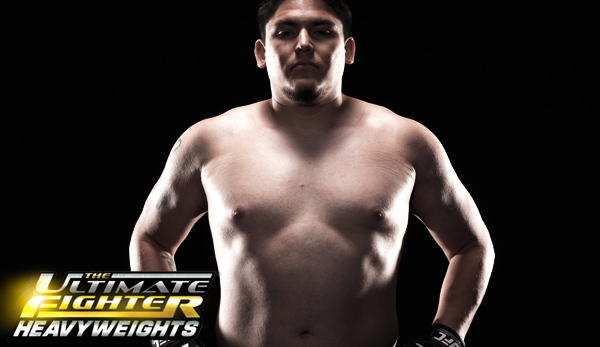 Once in the Ultimate Fighter house, he made it to the quarter finals with a win over Zak Jensen. He received his first professional loss in his first UFC fight to fellow TUF cast member and current UFC fighter James McSweeney. From there, he went on to fight for the #1 contender spot in King of the Cage against Nick Gaston and though he dazed him early in the 2nd round with a big right hand, lost by ref stoppage due a cut over his left eye. Since then, he's started training full time at Ghost Wolf Gym in Miami, FL, and is working on getting his black belt in both Judo and Japanese jiu jitsu. He is now set to meet Richard Odoms in the main event of the River City MMA Battle, which includes 11 other professional bouts, on Nov. 6 at the Municipal Auditorium. The event starts at 7:30 pm. Tickets start at $10 and are now available through Ticketmaster. If you're unable to make the drive, watch it LIVE on Pay Per Live through extremeTVnetwork.com. For more details and information, visit http://www.kickassfighting.com/.